Tons and Tons of Temporary Tattoos! A hot collection of edgy (but not over the edge) temporary tattoos for older kids and adults who act like older kids! Little kids love temporary tattoos, but bigger kids like them, too, however it’s not always so easy to find tattoos that are cool enough. Well, the wait is over. Tattoo You! is full of more than 150 tattoos with a tween’s tastes in mind. They’re hip, funny, edgy … but not over the edge. Includes skull & crossbones, creepy zombies, manga critters, skateboarding fun, barbed wire, fake scars, dreadful dragons, funky alphabets, and more! The first part of the book shows what the tattoos look like along with snarky instructions on how to use them and where to put them, silly jokes, and even brain teasers. The second half houses the 50 sheets of tattoos. That’s some serious tattoo bang for your buck! 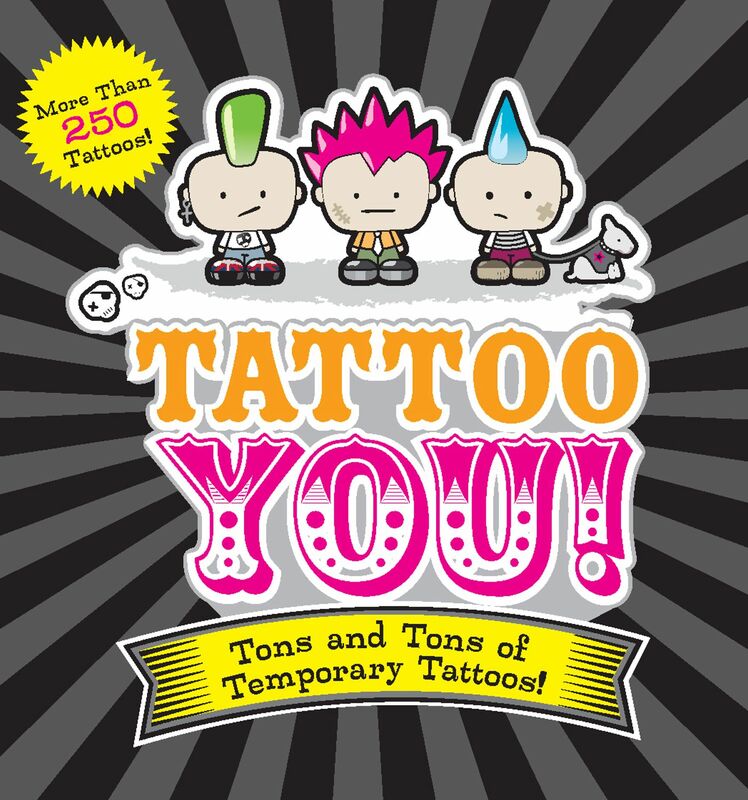 Book Cover Image (jpg): Tattoo You!